Four CL-415 water-scooping air tankers at Cody, Wyoming during the week of August 1, 2016. Some of them had been working the nearby Whit Fire and scooping out of Buffalo Bill Reservoir six miles from the fire. Photo by Becky Lester Hawkins. In the last few weeks the U.S. Forest Service has brought on ten additional air tankers on a temporary basis. 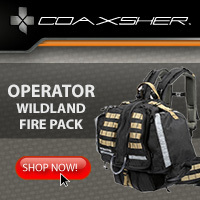 This includes CL-415 water-scoopers, CV-580’s, and Modular Airborne FireFighting System (MAFFS) C-130’s. Two of the aircraft were acquired through Call When Needed (CWN) agreements; four via agreements with Alaska and Canada; two MAFFS through an agreement with the Department of Defense; and two water scoopers through other contracts. The U.S. Forest Service expects to have two HC-130H aircraft at McClellan Air Field in September. These are part of the seven aircraft fleet of HC-130H’s that the agency is receiving from the Coast Guard. Tanker 118, an HC-130H, at McClellan Airport. Photo by Jon Wright, July 25, 2015. Last year one of the HC-130H’s worked out of McClellan using a MAFFS, a slip-in 3,000-gallon pressurized retardant system that pumps the liquid out the left side troop door. That was aircraft #1721 designated as Tanker 118, still painted in military colors. T-118 is now undergoing scheduled depot-level maintenance and should be replaced in September of this year by #1708 designated as Tanker 116. It will also use a slip-in MAFFS unit, one of the eight owned by the USFS, but should be sporting a new USFS air tanker paint job. After T-118 left, another former Coast Guard aircraft took its place, #1706. It is being used for training the contracted pilots and will not serve as an air tanker. Early in 2015 the plan was to have two HC-130H’s at McClellan. One would be used as an air tanker, and the second would be used as a training platform. Below is a portion of that early 2015 plan which we covered February 9, 2015. 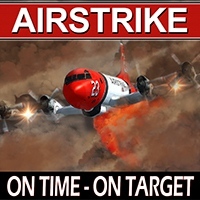 The USFS plans in early 2015 for incorporating the seven HC-130H aircraft into a Government-Owned/Contractor-Operated fleet of air tankers. Click to enlarge. Eventually the USFS hopes to have all seven converted to air tankers with removable retardant tanks. A contract for the installation of the retardant delivery systems was awarded to the Coulson Group in May. There is also much other work that has to be completed on the aircraft including programmed depot maintenance, painting, and wing box replacement on most of them. The work is being done or coordinated by the U.S. Air Force. They were directed by Congressional legislation to use their own funds, up to $130 million, so it is no surprise that the schedule keeps slipping as delays continue to occur in awarding contracts and scheduling the maintenance. In 2014 Tom Tidwell, Chief of the USFS, said all seven aircraft would be completely converted by 2018. In early 2015 the USFS changed that to 2019. Now, a year and a half later, it’s anybody’s guess when or if this project that started in December of 2013 will be finished. 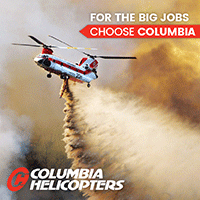 The USFS has two water-scooping CL-415 air tankers on exclusive use contract. As noted above they recently temporarily brought on two more on a call when needed basis. All four are operated by AeroFlite and as seen in the photo above were together at Cody last week. There was some discussion in the comment section of another article on Fire Aviation about the status of the BAe-146 aircraft being converted to air tankers by Air Spray. The company has five of the 146’s; two are out of the country and the other three are at the company’s Chico, California facility. 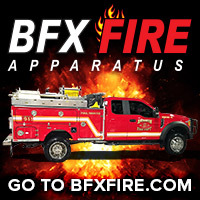 Ravi Saip, their Director of Maintenance/General Manager, told Fire Aviation that they expect to begin flight testing one of them in air tanker mode around the first of the year. After they receive a supplemental type certificate from the FAA, work on the second one would shift into high gear. Then conversion of the other three would begin. Air Spray’s T-241 finishing its amphibious conversion at the Wipaire facility in Minnesota. Air Spray photo. Air Spray also has eight Air Tractor 802 single engine air tankers that they have purchased since 2014. Five of them have received the amphibious conversion by adding floats, and the other three are stock, restricted to wheels. Air Spray’s Tanker 498, an L-188 Electra, is currently in Sacramento being inspected and carded by CAL FIRE so that it can be used in a Call When Needed capacity. 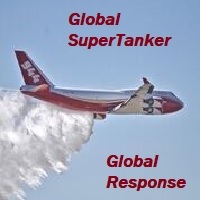 Jim Wheeler, President and CEO of Global SuperTanker Services, told us that the FAA has awarded a supplemental type certificate for their reborn 747 SuperTanker — a major and sometimes very difficult barrier to overcome. Within the next two weeks they expect to receive the airworthiness certificate. T-944 at Colorado Springs May 4, 2016. Photo by Bill Gabbert. Beginning next week representatives from the USFS will observe some additional static tests and then there will be an airborne descent test, a new test added in 2013, releasing retardant in a downhill drop. That test was not required when Version 1.0 of the 747 was certified. It may have been added after it was discovered that the first BAe-146’s that were converted and issued contracts still retained hundreds of gallons of retardant after downhill runs. 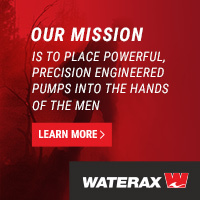 These steps should take less than two weeks, Mr. Wheeler said, after which they will submit the results to the Interagency AirTanker Board. 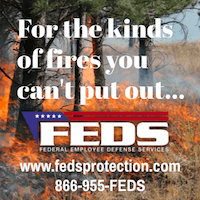 Jennifer Jones, a spokesperson for the USFS, told Fire Aviation that the company was offered an opportunity to submit a proposal for a call when needed contract solicitation in 2015, along with numerous other companies, but declined to do so. Their next opportunity to obtain a contract will be when another general solicitation is issued in 2017, or perhaps sooner, Ms. Jones said. The agency issued a Request for Information a few weeks ago, which is usually followed some months later with an actual solicitation. Judging from the list of CWN air tankers with contracts, apparently it is possible to submit a proposal and receive a USFS CWN contract even if the aircraft exists mostly on paper and could be years away from being FAA and Interagency AirTanker Board certified. 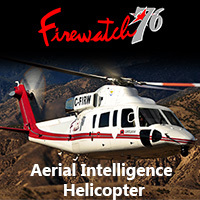 In the meantime Mr. Wheeler realizes that the USFS is not the only organization that hires air tankers and has been talking with a number of other agencies in various states and countries as well as companies involved in marine firefighting. Global SuperTanker is in the process of finishing repairs on the 747 in Arizona after some of the composite flight control surfaces (flaps, spoilers, elevators) and engine cowlings were damaged by golf ball sized hail at Colorado Springs several weeks ago. There was no windscreen or fuselage damage. Mr. Wheeler said that was the first severe hailstorm within the last seven years at the Colorado Springs airport. But, after the aircraft left to be repaired in Arizona a second hailstorm struck the airport that some have said was a 100-year event and did much more damage than the first one. On September 2, 2015 the USFS formally requested information from facilities that could support the seven-aircraft HC-130H fleet (Solicitation Number SN-2015-16), with responses due September 16. The agency was only asking for information from interested parties, and will not award a contract based on the Request for Information. A few politicians fell all over themselves arguing that the aircraft should be based in their state. 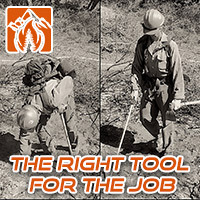 The U.S. Forest Service continues to cooperate with the Department of Defense to identify potential federal facilities, which must be considered first. It is unlikely that more than one or two of the seven HC-130H’s would be at the new base at at any one time, except during the winter when they would not have to be dispersed around the country to be available for firefighting. 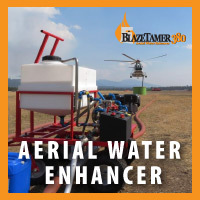 While the base might not be a huge expansion of the aerial firefighting capabilities in an area, the stationing of the flight crews, maintenance, and administrative personnel would be a boost to the economy of a small or medium-sized city. Gowen Field, at KBOI, would be a VERY logical choice for housing the C-130’s, given that the Air Guard no longer has 130’s, but still has the facilities for them that are directly across the airport from the tanker base. Boise, Spokane, Salt Lake, Phoenix, Denver, Billings or Rapid City.